We take you through the nuts and bolts of what it takes to create a smart and sustainable social media strategy that will help you build better relationships with your clients, and generate new leads to help you grow your business. There is no ‘easy button’ when it comes to creating a smart social media strategy. It isn’ t something you can outsource or automate; it’ s something that requires time, love, attention and a plan. Reading this book is the first step in your journey toward creating and maintaining a smart social media strategy for your business. I look forward to being on this journey with you! Katie is the CEO and Co-Founder of Katie Lance Consulting. 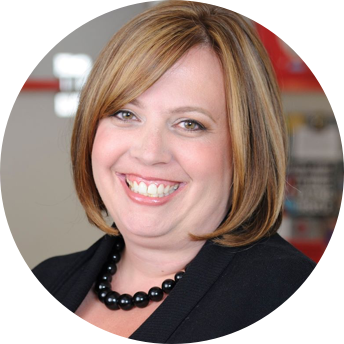 Katie is a nationally known keynote speaker at conferences and events, teaching the latest tools and strategies in social media, mobile and technology trends for the real estate industry. She is also the author of the best-selling book, #GetSocialSmart and the founder of the #GetSocialSmart Academy. Katie has been named one of the most 100 influential people in real estate by Inman News and is a frequent contributor to The Huffington Post. She lives in the San Francisco Bay Area with her husband and 2 beautiful boys. A great “how to” and do this not that for anyone looking to sharpen their skills in this arena or if you are starting. Katie’s approach has always been helpful and hands on. I love the tools and references she has given. Every business needs to have a social media strategy and this is a great way to start as you build your strategy. Katie crushes it again! 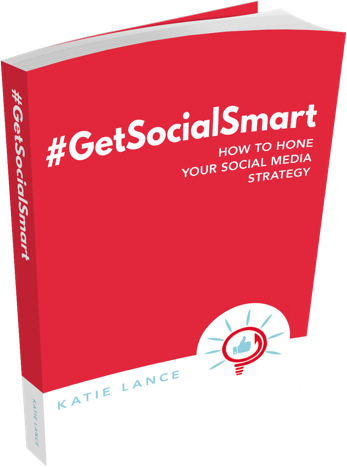 There are some people who just bring; whether in person, on stage or even in a tweet … and Katie did exactly that in this book filled with so many useful and practical content tips. This book increased my awareness for a comprehensive social media content strategy. So many of us make it up as we go and #GetSocialSmart is make me open my eye wider and my digital footprint more deliberate. Katie has taught at my brokerage so I knew I could trust the content of this book. Once again, she delivers! It’s a quick, easy to follow yet thoughtful guide on how to tie business strategy to a social media plan. I recommend for anyone struggling on implementation in the real estate domain. It’s a must for new agents or for those who have a solid sphere of business but want to use the digital and social media platforms available today without losing their mind or their authenticity. Well worth the read! I look forward to what comes next from Katie Lance! I have managed professional social media profiles for the last 7 years, With this book, I have increased the readership and loyalty on our blog, followers and interactions on our social media profiles, and thus increased the leads that come in for our real estate agents. I highly recommend this book for anyone who is looking to expand their brand online. It is easy to read and offers tips that are easy to implement in a non-overwhelming format. Katie is FANTASTIC! Her book is required reading for my team. She has showed me how to time block my time so I can continue to produce videos that my customers want. The schedule she proposes works! Her approach is a part of how the Internet continues to change the real estate business.